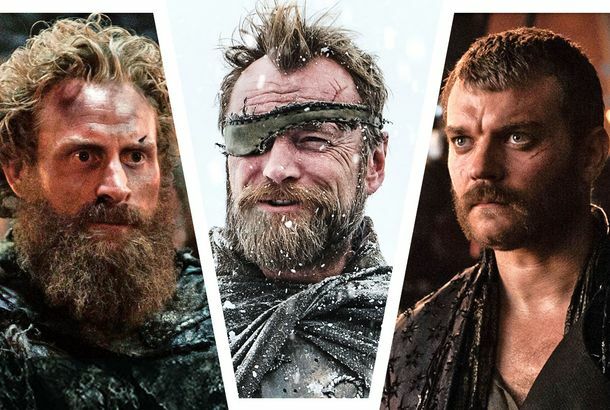 Which Game of Thrones Guys Are Keeping Their Beards?The owners of television’s most iconic beards reveal whether they’re celebrating the end of GOT with a fresh shave. Thank You, Bradley Cooper, for Growing Out Your Jackson Maine BeardHe’s taking his biotin, sweetie! Stephen Colbert Bids Les Moonves Farewell, for NowOr at least until he writes a stand-up set. Tips for Post-Apocalyptic Beards With the Cast of The Walking DeadHere’s how to get your facial hair to peak zombie-fighting performance. Why You Might Never See That Movie Where Mel Gibson Looks Like a Crazy ProfessorIf The Professor and the Madman gets destroyed, we may never see the beard as it was intended to be seen. Can You Guess Which Character’s Facial Hair This Is?Go face to facial hair and see which ones you recognize. See a Poster Featuring Famous Beards in FilmAll the beards! In one giant beard! Steven Spielberg Eyeing Directing Gig for Moses MovieFrom Lincoln to Moses. Might as well. Watch Ke$ha Profess Undying Love for BeardsKe$ha breaks for beards, also eats them. Watch a Teaser for Whisker Wars, the Competitive Beard-Grooming ShowIs there a way to type out that sound that’s halfway between shuddering and gagging? Fake Joaquins De Rigueur at Awards ShowsBy the time Casey Affleck’s silly mockumentary about Joaquin Phoenix’s fake rap career finally gets released, how played out will the joke be? Probably pretty played out! Late-Night Shows to Return? Letterman to Shave?With the increasing likelihood that the writers’ strike will last forever, the late-night hosts may be secretly plotting their return.